We live in a seemingly free country, so we’re told. But that may be because the majority of us have never spent time in a war zone or highly secured police state-like environment. Few of us understand what it looks like when military and state intelligence assets take over. Those who do understand, and have themselves implemented such plans in other countries, see exactly what’s going on and they are sounding the alarm (often falling on deaf ears). 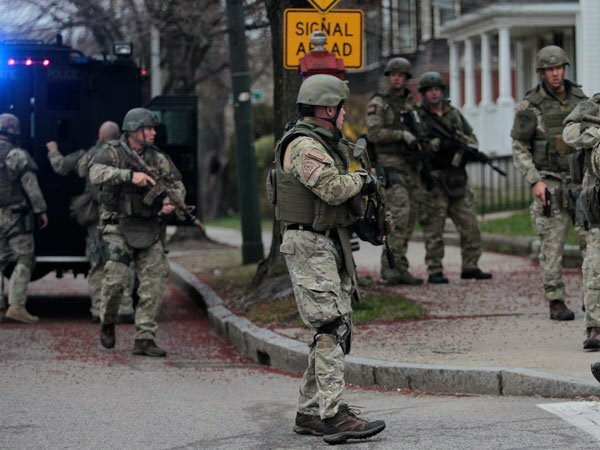 In Concord, New Hampshire the local police chief has filed a requisition with the Department of Homeland Security to beef up his police force with a Ballistic Engineered Armored Response Counter Attack Truck to quell any disturbances initiated by activists or other potential domestic terrorists. In response, the residents held a city council meeting, prompting a retired Marine Colonel to weigh in. He was formerly a coordinator tasked with manning, training and equipping the Iraqi Army throughout the northern provinces, and he candidly shares his insights and compares the nationwide lock-down in Iraq to what’s happening right here at home. Newly declassified documents, obtained by George Washington University’s National Security Archive, appear to for the first time acknowledge the existence of Area 51. Hundreds of pages describe the genesis of the Nevada site that was home to the government’s spy plane program for decades. The documents do not, however, mention aliens. The project started humbly. In the pre-drone era about a decade after the end of World War II, President Eisenhower signed off on a project aimed at building a high-altitude, long-range, manned aircraft that could photograph remote targets. Working together, the Air Force and Lockheed developed a craft that could hold the high-resolution cameras required for the images, a craft that became the U-2. Why “U-2”? Detroit declared bankruptcy a few days ago. 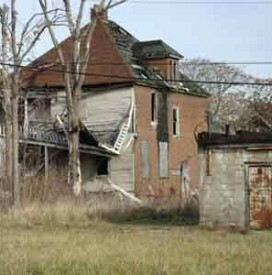 I’ve written for years about how Detroit should serve as a stark warning to Americans who believe in liberal social policies, like highly progressive taxes and expensive social safety nets. These socialist programs don’t cure income inequality. They merely destroy wealth by reducing incentives for building businesses and encouraging dependency. That’s why societies with lots of government spending typically have few civil institutions and a small middle class. Here’s the message our politicians on both sides of the aisle seem to miss: Fifty years ago, Detroit was one of the largest and wealthiest cities in the world. Nearly 2 million people lived there, and it enjoyed the highest per-capita income in the United States. Then, in 1960, everything changed. Is the U.S. Exaggerating the Terror Threat to Embassies to Silence Critics of NSA Domestic Surveillance? Greenwald also discusses Reuters’ report on the Drug Enforcement Agency spying on Americans. Matt Lease, a computer scientist at the University of Texas, is working on ways to literally record all human conversations no matter where they take place. But his research is being funded by the Department of Defense, raising the question of how such a technology might be used in the hands of the government. Lease’s plan is to utilize crowdsourcing, voice recognition software and everyday devices like smartphones to gather human speech, whether in a business meeting or on the street, and store it somewhere so people could access what they said anytime. The Defense Advanced Research Projects Agency (DARPA) liked Lease’s idea so much it gave him a $300,000 grant to support his efforts. If successful, this new system could raise “some thorny legal and social questions about privacy,” wrote Robert Beckhusen at Wired. One example cited by Lease involves “respecting the privacy rights of multiple people involved,” and how to gain permission of everyone talking before capturing and storing a conversation. In the hands of spy agencies, this is not expected to be an issue.